Jeffrey Tambor has said he is “profoundly disappointed” in Amazon’s handling of sexual harassment allegations against him. The company confirmed he wouldn’t be returning to Transparent after it concluded an internal investigation. Allegations were made last year by Tambor’s personal assistant and one of his co-stars on the TV show. Series creator Jill Soloway praised the accusers after his exit was confirmed for their “courage in speaking out”. In November, a transgender woman who worked as Tambor’s personal assistant had revealed her employer – whom she did not directly name – had acted inappropriately. Amazon Studios launched an investigation shortly afterwards. Transgender actress Trace Lysette also claimed Tambor “got physical” with her on set – which the actor denied. In a statement released at the time, Tambor said he was “not a predator” and apologised “if any action… was ever misinterpreted by anyone as being sexually aggressive”. The 73-year-old also said he didn’t see how he could return to Transparent in the wake of the accusations. 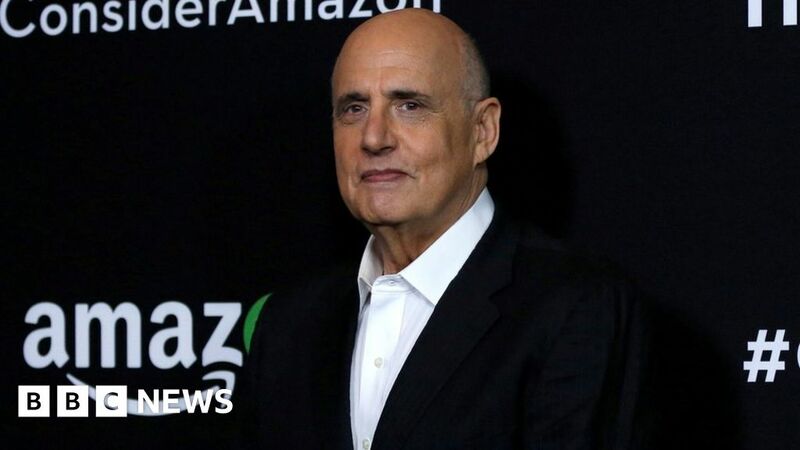 After Tambor’s exit from the show was confirmed on Thursday, Soloway expressed “great respect and admiration” for the accusers for coming forward. The accusers’ “courage in speaking out about their experience on Transparent is an example of the leadership this moment in our culture requires”, Soloway said in a statement. Tambor said: “I am profoundly disappointed in Amazon’s handling of these false accusations against me. “I am even more disappointed in Jill Soloway’s unfair characterization of me as someone who would ever cause harm to any of my fellow cast mates. In our four-year history of working together on this incredible show, these accusations have never been revealed or discussed directly with me or anyone at Amazon. Hours after Tambor’s exit for the show was confirmed, a new poster for The Death of Stalin, which he stars in, was released – with Tambor’s face removed. In the original image, he appeared alongside co-stars Steve Buscemi, Jason Isaacs, Rupert Friend and Michael Palin. However, a new poster, published by The Wrap, sees Tambor replaced by another cast member, Andrea Riseborough.